These words were uttered by the French-born English wine merchant and author André Simon in 1964 when tasting Hawke’s Bay winery Te Mata’s 1912 red blend. More than half a century after it was first made – the same year as the sinking of the Titanic – the red wine was still very much alive, so why has New Zealand not developed a reputation for making age worthy wines? 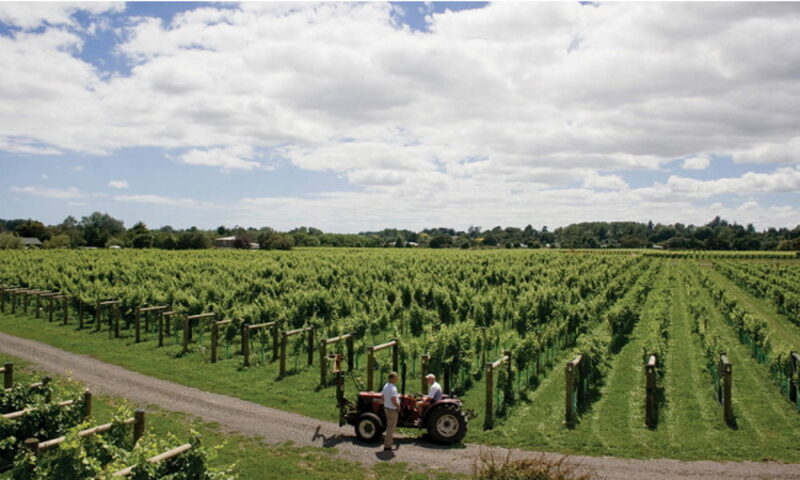 The New Zealand wine industry is dominated by a grape variety that is typically fermented and put into bottle within months – or even weeks – of being harvested. ‘Picked, pressed and pissed before Christmas’ is the life cycle of Sauvignon Blanc in some winemakers’ view. Why wait for Christmas when you can drink the wine before Easter? Moana Park winery has released a Sauvignon Blanc on April 1 and that was no April Fools. 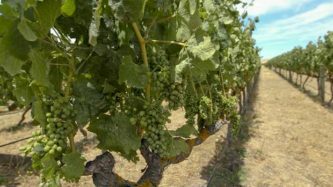 If the previous vintage has been small and stocks are running low, a few blocks might be picked early to produce a wine to bridge the gap between vintages, such as Villa Maria’s Early Release Sauvignon Blanc. However, there are a growing number of smaller, quality focused producers that are holding back their Sauvignon Blancs before releasing, giving them time on lees and time in bottle. Having tasted some of Marlborough’s finest Sauvignon Blancs at seven or eight years old, drinkers need not be in such a hurry. Putting the brakes on wineries releasing wines doesn’t help their cash flow and with grape growers to pay and bank repayments due, accountants can overrule winemakers, putting the onus on drinkers to put the wines in their usually non-existent cellars. 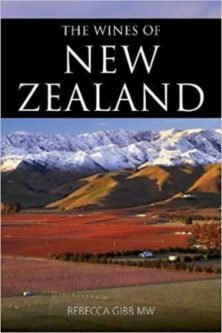 It is partly a matter of wine culture: New Zealand does not have a long-standing tradition of making and drinking wine. Having rejected Prohibition in 1919, the country continued to operate under a cloud of abstemiousness, promoted by restrictive licensing laws. Until 1961, New Zealanders couldn’t enjoy a glass of wine with a meal in a restaurant. The 1960s brought licensing change with more and more restaurant licences granted, a rise in the number of wine shops while a rise in tax on beer and spirits in the 1958 ‘Black Budget’ gave wine an encouraging bump. Red wines in New Zealand, like whites, are all too often released early and consumed early, meaning there are few older vintages available to purchase and enjoy. There are relatively few wine collectors and fine dining restaurants with cellars and mature stocks of New Zealand wine and thus some wineries are starting to take responsibility for ageing their wines until they approach their drinking window. 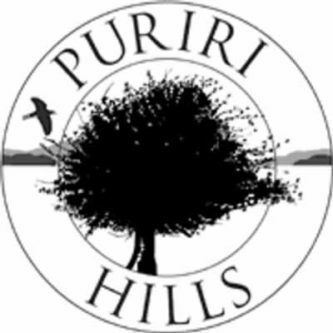 Judy Fowler, owner of Puriri Hills Vineyard in Clevedon, Auckland, which specialises in Bordeaux blends, has a Brunello di Montalcino approach to releasing her reds. “My late release policy is based on the fact that we attempt to produce Bordeaux-blended wines made in the longstanding traditions of Bordeaux. 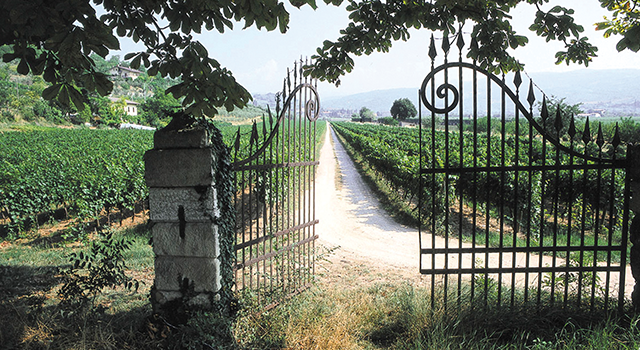 The great Bordeaux generally benefit from ageing five to 10 years or longer. Our wines are built to age well. However, we are a small, newer vineyard [established 1998] with perhaps another 300 years to earn the reputation for quality that the grands crus of Bordeaux have. As such, we do not expect our customers all to want to wait for five or more years to taste our wines at their best, so we do the ageing here at the vineyard before release.” While Fowler is not alone, most wineries don’t apply the release-when-ready-to-drink policy across the entire range, as it can leave suppliers wine-less and raise the prospect of delisting. 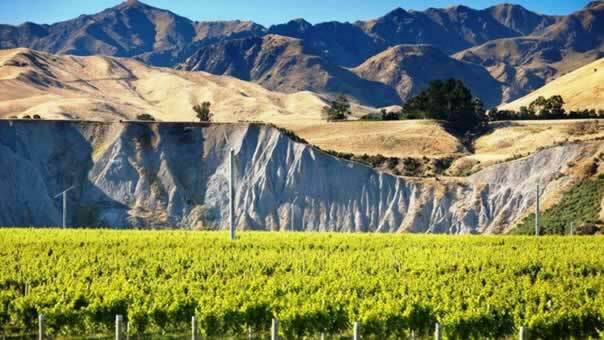 It is difficult to judge the ageability of New Zealand wines with so little precedent. In the past decade, young vines have matured, viticulture has evolved, winemaking has become more refined: a Pinot Noir produced 10 years ago from young vines by winemakers that were still getting to know their site will be quite different today than a current vintage opened in a decade’s time. When asked to provide drinking windows for a recent Central Otago Pinot Noir or Hawke’s Bay Cabernet Sauvignon, it is a case of pinning the tail on the donkey. However, there’s no doubting the country’s best wines have the components to age gracefully: intensity of fruit, richness of ripe tannins, acidity (and pH), alcohol and magic all play their part in the development of a red wine. In whites, high levels of acidity and flavour precursors elongate their shelf life. There’s also a small matter of the closure: screwcaps are omnipotent in New Zealand. Although a small but significant number of producers continue to seal their top Bordeaux blends under cork (while putting the rest of their range under screwcap), it is likely that the wines will age more slowly, because of the lower rate of oxygen ingress compared with a natural cork. What is clear, is that far too many New Zealand wines are being consumed before they are out of nappies. It’s time to let them grow up. As you will note from the “looking back” item we have taken on board the complaint from a number of those attending the July dinner re the quantity of food provided. We will be taking this up with Saigon Van. You may remember tasting the Seifried Zweigelt at the Seifried tasting back in August 2017. You may be interested that the wine has been mentioned by Jancis Robinson in an article about some of the different wines now being tried by New Zealand producers. The accent on Sauvignon Blanc and Pinot Noir is well established but there is an increasing move towards different varietals and the article comments on a number of these. Anne Seifried was rapt to get a message from Jancis telling her how good their Zweigelt is. This is up 6% on the 2017 tonnage but is still lower than initially anticipated in a season marked by a very early start to harvesting. 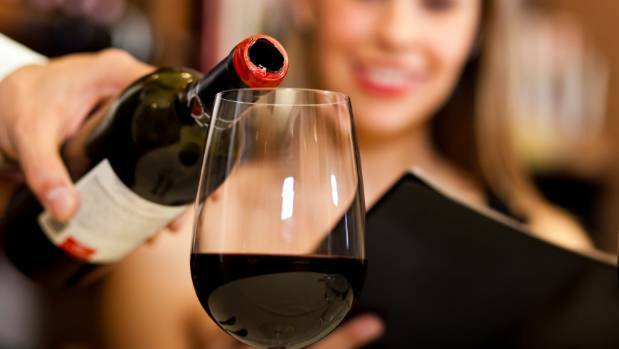 Wine is a complicated beast, but best rules to follow are: chill your reds lightly and let your whites warm a little. Kiwis are drinking their red wines too warm and our whites too cold, according to expert sommeliers. Refrigeration leaves white too cold, and chances are red is too warm in the current summer weather. Wellington wine bar Noblerot served its wines at a range of temperatures according to the varietal; the prime range for red wine was between 18 and 22 degrees. Co-owner and sommelier Maciej Zimny said lighter, fruitier reds, such as pinot noir, lent themselves to being chilled to the bottom of that range. 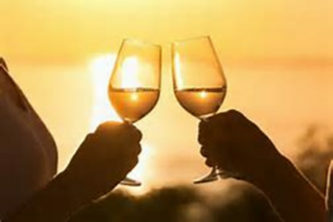 During warmer summer weather, Zimny recommended chilling red wine from up to 10 minutes before serving, which would reduce the temperature by between three and five degrees. “When you taste the wine, at a lower temperature it seems complete,” he said. 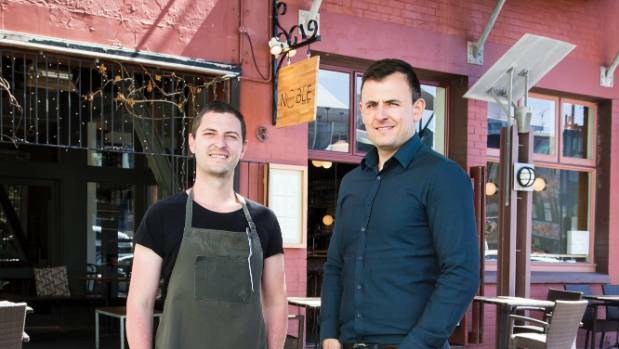 That’s because of the alcoholic smell was exaggerated when it was warm, which was unappetising, according sommelier at Auckland’s French Cafe, Stephanie Guth. She said. however, the sight of a chilled red wine was odd for customers. 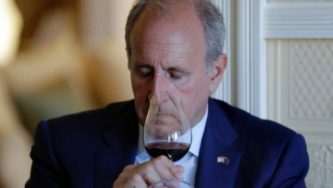 “You want to do it justice but it’s such a weird thing for people to see, red wine in an ice bucket, even though you know it might benefit from it,” Guth said. Twenty minutes in an ice-bucket before opening and drinking might help to boost the flavour in a pinot noir. “The more complex the wine you have, the warmer it should be served,” Zimny said, referring to rich red wines such as merlot or Bordeaux varietals. Conversely white wine should be served chilled, however complex oaky chardonnays should be served slightly warmer than other whites. So chardonnay’s flavours lent better to slightly warmer temperatures than sauvignon blanc, about 14 degrees as opposed to 10 degrees, because it was important to make sure oak flavours were prominent. Pinot noir and chardonnay hailed from the Burgundy region of France, and both were classically stored in the same cellar under the same conditions. He said wines have either been served too warm or too cold since the invention of refrigerators. 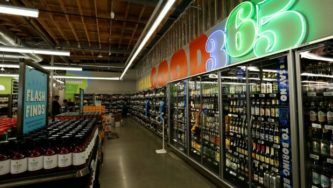 Cellar temperature was perceived as something quite different to what was initially intended, room temperature, Guth said. Leaving white wine to warm up slightly released flavours hidden by colder temperatures. The only reason one should drink a bottle straight out of the fridge was “if you don’t want to taste your wine”, she said. 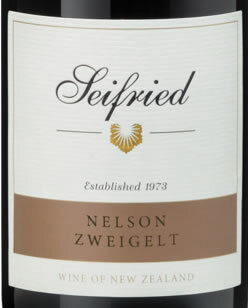 In 1971 my father Hermann Seifried arrived in New Zealand with a dream of making great wines. He and my mother Agnes pioneered modern winemaking in the Nelson region, planting the first vines and in 1976 producing their first wines. Now, 40 years later we celebrate their vision and the arrival of the next generation, our children, who are growing up in the vineyard and winery. 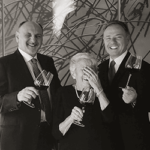 We hope that they too will share the passion for crafting fine wines. Our Aotea Méthode Traditionnelle is a very special wine. Two parcels of fruit were hand picked at ideal ripeness for this classical Méthode Traditionnelle Cuvée. 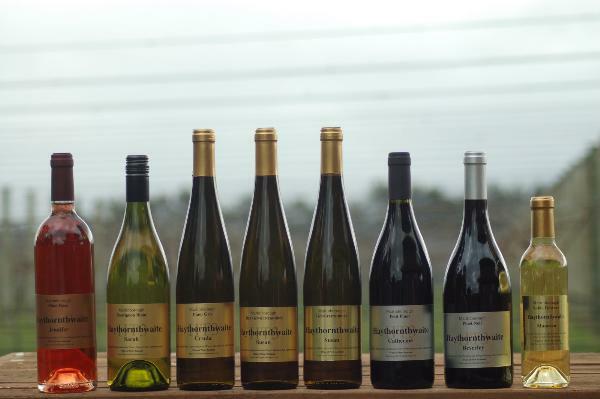 The Pinot Noir is from our Brightwater Vineyard while the Chardonnay comes from our Cornfield Vineyard. The blend is 50/50 Pinot Noir and Chardonnay. The grapes were hand harvested during the cool early hours of the day and brought to the winery quickly for processing. The free-run juice from the press was cold settled overnight before being racked, warmed and inoculated. A smooth ferment progressed to dryness, followed by malolactic fermentation. The young wine was then prepared for bottle fermentation and aged on lees for an extended period. In 2016 the wine was finished and released to celebrate our 40th vintage at Seifried’s. Glengarry’s Sunday ramblings of all things vinous, grain and glorious. A tour of Italy – Part 1 comes from The Sunday Sediment Issue 5. Veneto is home to the glorious sinking city of Venice and the romantic jewel that is Verona. Here, you’ll find great value Soave, Valpolicella and Bardolino wines. Less than half of the wine produced in Veneto is able to be labelled with the Italian quality mark of DOC, with large quantities of IGT (table wine) produced there, making it an important region for quantity. It is also home to the superstar Amarone, and to the sparkling Prosecco wines made in Conegliano-Valdobbiadene. Read more in the Glengarry Wineletter – #232 August 2017. Piemonte produces some of Italy’s most long-lived wines. 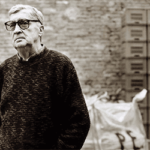 A treasure trove of culinary delights, it is home to Barolo, Barbaresco, truffles and hazelnuts. The predominant red grapes are the indigenous Nebbiolo, Barbera and Dolcetto, the whites, Arneis and Moscato. The wines are distinctly regional and oozing with flair. Lovers of Pinot Noir will feel right at home with Nebbiolo, which is bottled in its own right as well as being the variety behind the famed Barolo wines. Read more in the Glengarry Wineletter – #232 August 2017. A long with Piemonte, Toscana (Tuscany) has the highest percentage of top-tier DOCG wines, and is home to the scarlet giants Chianti, Brunello di Montalcino and Vino Nobile di Montepulciano. It is here that the new meets the old head-on, giving rise to the so-called Super Tuscans. The main variety in Tuscany is Sangiovese, used to make Chianti, with the variety’s greatest expression derived from the legendary Brunello clone developed by Montalcino’s Biondi-Santi family. Read more in the Glengarry Wineletter – #232 August 2017. June is always a challenging month for arranging a wine tasting as the weather can be adverse and once we get home, often means that we can be reluctant to leave again. Last month’s tasting was like that with a really unpleasant Wellington day. 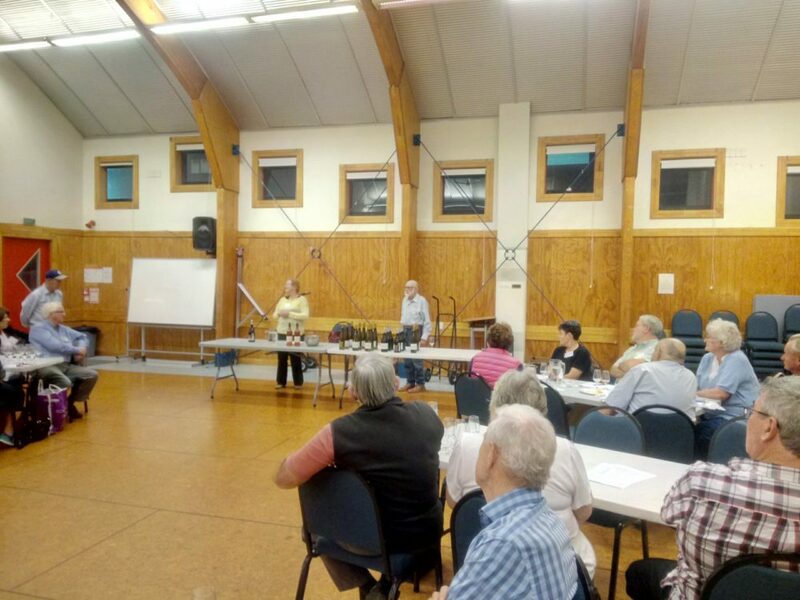 Still, 28 hearty souls made it to our tasting that night and were rewarded with an excellent presentation from Richard Macdonald. Richard’s knowledge of Giesen and their product was insightful as he led us through 3 whites, 3 reds and a Rose. This Rose was delightful, even on a cold wintery night with good fruit and a soft lingering taste. Interestingly it was also the wine most ordered on the night. Other wines enjoyed, if the orders are anything to go by, were the 2014 Brothers Gewürztraminer and 2013 Brothers Pinot Noir. 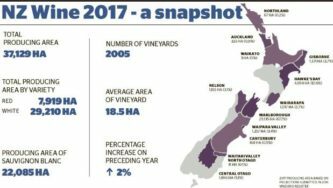 This latter wine also provided a reminder that Marlborough vineyards with a touch of age are now beginning to provide pinots that a real value for money as their quality begins to match their cousins from Martinborough and Central Otago. Another wine to surprise on the night was the Organic Sauvignon Blanc that was used as our meet and greet wine. This had great fruit flavour without that aggressive grassy nose that many other SBs from this region often have, well to me anyway, and consequently, I very much enjoyed it as our starter for the evening. The whites ended with the much celebrated 2014 Fuder Clayvin Chardonnay. Fuder, refers to the type of barrel used. It’s much larger than what we normally see in NZ and its purpose to evolve the texture of the wine without overpowering it with oak. It certainly did this for me and with its full body and slightly citrus notes, it was a wine that I had been really looking forward to tasting, given it had won Elite Gold at the 2016 Air NZ Wine Awards. The only disappointment was that I could not afford the $50 order form cost, despite its discounted value, as I decided to purchase the 2012 Eight Songs Shiraz instead. 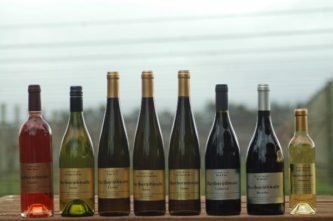 Giesens are also the NZ agent for a small range of Peter Lehman reds. Richard ended our tasting with two of these, the 2014 Hills & Valley Shiraz and the 2012 Eight Songs Shiraz. The latter, if I’m not wrong, was probably the most expensive Shiraz the club has tasted, although last year’s 2013 Elderton Neil Ashmead Grand Tourer Shiraz did come close. The 2012 Eight Songs was named after one of Peter Lehman’s favourite vocal ensemble musical works, loved for its soft harmonies. Apparently, this inspired Peter Lehman to emulate that artistry in a wine and it has resulted in a very soft stylish wine that is quite foreboding with its very black core, yet elegant with its lovely integration of mocha chocolate and dark plum characteristics. A great tasting from Richard Macdonald and one that I think many would be sad that they missed.